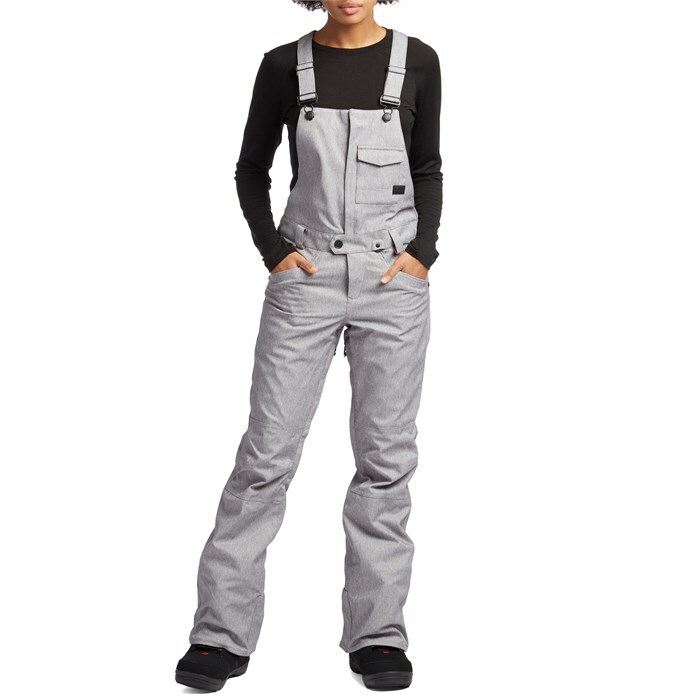 Volcom s Swift Bib Overalls have all the coverage and function of bibs, with a fit and style that's truly feminine. Made with super waterproof and breathable V-Science stretch material with a stretch liner, they move comfortably with your body all day. Mesh lined zipper vents can be opened to help cool you down after you work up a sweat throwing down a ridiculously good line. Available in cool prints or subdued solid colors, the Volcom x evo Swift Bib Overalls are some of the best pants Volcom has ever made, and now available in a unique colorway from evo. Bonus points if you can rock only one suspender in the lodge. Stretch Slim Fit  Slimmer in the thigh and through the knee. The use of knee-stretch fabrication maximizes mobility. Made with Repreve® Recycled Materials  Repreve® recycled yarns are made from at least 95% post-industrial and post-consumer waste.